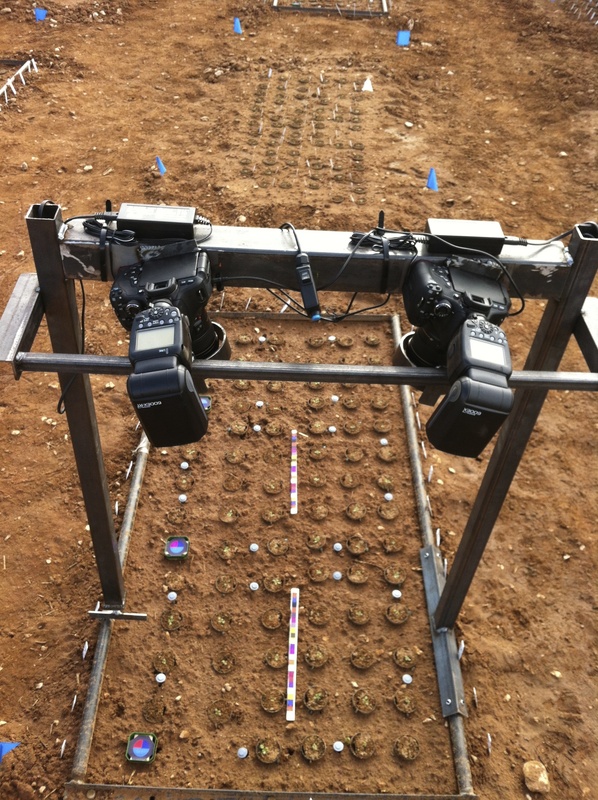 Our 3D imaging station is field-ready and can image a plot of 80 plants in under 3 minutes. Rapidly decreasing price and improving technology of high throughput next-generation sequencing has made the accumulation of vast genetic databases feasible for many research programs. Using these data to understand the interplay between genotype and phenotype requires associating genome- or transcriptome-wide sequence data with plant phenotypes. Unfortunately, phenotyping can be a slow, labor intensive process. Often, it is simply not possible to phenotype thousands of plants in a single day without employing many people. Unlike the cost of sequencing, labor costs continue to increase. Traditional 2D images can preserve information about plant phenotypes at specific developmental stages and these images can conveniently be measured over days or weeks. However, plants are complex 3D organisms whose organs may move according to circadian rhythms and 2D representations may not provide accurate measurements. An automated machine-vision pipeline stitches 2D images into a 3D model, identifies plants, and scans each plant to collect data on individual leaves. Note that the plant on the right is not an photo but instead a high-resolution 3D reconstruction of a plant. In the Weinig Lab, we are collaborating with Dr. Stephen Welch and Nan An at Kansas State University Ecology and Agricultural Spatial Analysis Laboratory to solve this problem. 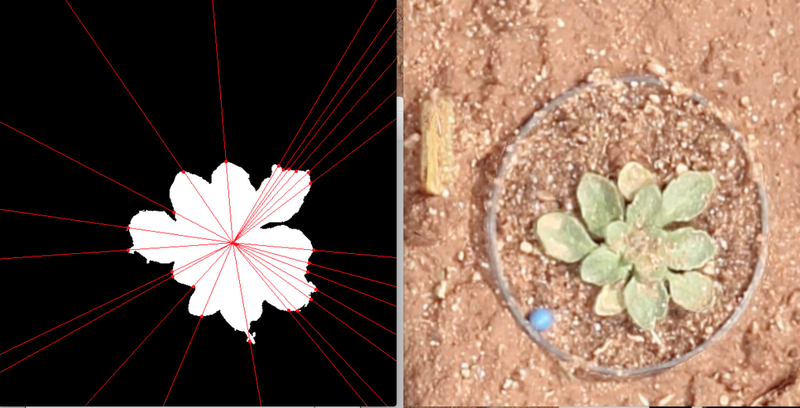 We capture 2D digital images in stereo to generate 3D models of plants, from which phenotypic data can be extracted using image recognition software. We can accumulate ontogenetic data faster than plants can be measured with a ruler and without introducing measurement error caused by different people measuring the same trait on different days (An et al., 2016 and An et al., accepted).